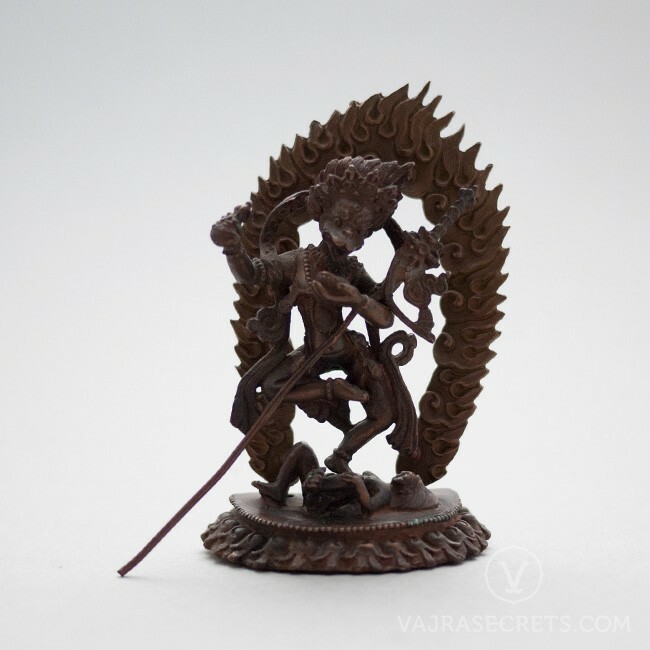 An exquisitely hand-carved copper statue of the Lion-faced Dakini, Sengdongma, who provides powerful and effective protection against negative conditions, illnesses and misfortune, spirit disturbances and black magic, particularly those specifically sent against us. A perfect addition to a small shrine at home or in the workplace. A copper statue of the Lion-faced Dakini, Sengdongma, exquisitely hand-carved by master craftsmen with full iconographic detail according to traditional scriptural sources. A perfect addition to a small shrine at home or in the workplace, and is particularly suitable as part of a portable travel altar.